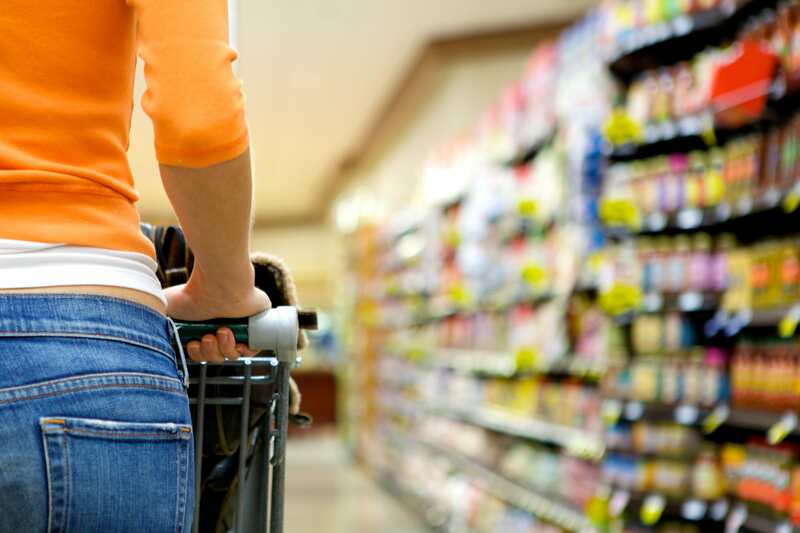 Currently, in-store purchasing decisions made at grocery stores are at an all-time high. This can lead some brands to assume that, for consumers, the purchasing process has been condensed to merely see-it, want-it, buy-it. Unfortunately, that couldn’t be further from the truth. The reality is, a shopper’s customer journey can start long before they reach the shelf your product is perched on. In fact, the customer journey is a process that can begin before a shopper even enters the store. As it pertains to CPG and FMCG grocery goods, the customer journey is a multifaceted equation that is sparked by an imminent need and is then influenced by a myriad of third-party factors. However, you have to first understand why a consumer would be willing to purchase your product in the first place. You see, a standard grocery store carries over 50,000 products at a time. And, on any average day in the U.S., over 32 million Americans go grocery shopping. In a 2015 Food Marketing Institute survey, more than three-fourths of respondents aged 37 years or older made lists before going shopping and 72 percent of millennial shoppers also created a list for their grocery shopping trip. Why is this important? Because in the hordes of shoppers heading to a supermarket jam-packed with products, a majority are heading in with an understanding of what they need to purchase already. It is your job as a CPG to ensure that not only will a consumer choose your brand to fulfill the product noted on their list, but also to sway them to purchase even if your product didn’t make the list this trip. If you’re looking to increase sales and gain a deeper understanding of what a shopper needs along their customer journey, let’s get started. Whether they know it or not, consumers travel through a series of steps before they make a purchase. This is known as the customer journey. A customer journey map is a visual representation of the phases a shopper goes through when engaging with a brand. For shoppers, this journey is not something they often think about, as they are simply looking for an outlet to fulfill their buying needs. But for brands and businesses, understanding and optimizing the customer journey is the difference between a sale and a shopper purchasing a product from a competitor. Throughout the consumer journey, there are multiple steps that a brand can take to enhance brand perception as well as their point of purchase. While many might believe that the customer lifecycle begins and ends at the checkout line, that thinking is detrimental to revenue. A typical buyer’s journey begins long before the point of sale, and truly hinges on the point of purchase. Let’s take a look at how to get a buyer there, and what happens after. If you’re in the business of manufacturing, distributing, or selling grocery food products, you’re well aware that the limited shelf-life of most items paired with how quickly most are consumed or used means that the demand for CPG (consumer packaged goods) products is always high. Therefore, a need can be sparked by simply realizing that a shopper has used their last piece of bread, or scraped the last scoop of peanut butter out of the jar. A need can also present itself seasonally – with the emergence of holidays, or food-focused events such as Thanksgiving, a grocery shopping list can easily double in size and price. Items used specifically for a certain dish or meal, such as pie crusts or crispy onions, can become exponentially in-demand for a period of three months, and then diminish once the seasons change. On the flip-side, brands can proactively create a need in shoppers through building awareness of their product, planting a seed in the consumer’s mind for a need that had not yet been realized. Awareness, whether driven by a consumer’s direct need or manufactured by a brand’s marketing, is the first step in the consumer journey. To begin exploring the customer lifecycle, we’ll take a deeper dive into the Awareness stage. The moment a consumer becomes aware of a brand or a new product is known as the stimulating moment – a catalyst that begins the consumer journey. Traditionally, Awareness has consisted of some form of advertising that grabbed a consumer’s attention. Today, most consumers are active across a variety of media channels. Therefore, their original source of awareness could stem from social media or online display ads, or even email or text marketing. Awareness can be derived from video advertisements on social platforms or YouTube, or radio spots. Likewise, members of grocery store or retailer loyalty programs can gain awareness of products through alerts, sales circulars, and newsletters. Awareness is critical to the customer journey. If a potential customer doesn’t even know you exist, how can they purchase your product? Once a customer has been made aware of your product, they enter the next stage of the customer journey, Consideration. When a realization has been made that a need must be met, a consumer will actively consider their options for fulfilling that need and evaluate the pros and cons of the products that they are aware of. This stage is also commonly referred to as “Findability” or “Search,” as this is when a consumer digs a bit deeper to find out more about your product. For CPG and FMCG grocery products, the Consideration stage is typically not as in-depth as it would be for a larger purchase, such as a new car. When moving through the Consideration phase of the customer journey for a grocery product, a consumer typically checks to see if the product is available in their area, hence “Near me” searches, as well as which of their favorite stores carry the product. An additional part of this Consideration phase consists of a potential deep dive into ingredients, packaging, or sustainability of the product. This is especially true if your target consumer has specific dietary needs or restrictions, or views organic or green-focused initiatives as critical to the purchasing decision. If your brand or product checks out through the Consideration stage, a consumer moves forward to the Purchase phase. The third stage in the consumer journey is the actual Purchase. This means that a potential customer has added your product to their grocery list, and has headed out to the grocery store to physically purchase it or added it to their online cart. This stage of the customer journey is composed of two separate phases: the point of purchase and the point of sale. We’ll get into both of these phases in detail in the next section, but for the purpose of the consumer journey, we’ll focus on the point of purchase. The point of purchase is the moment when a consumer proactively interacts with your product, taking it off the shelf, examining the packaging, comparing its price to other products and so on. In 2005, multi-national consumer goods giant Procter & Gamble coined the phrase the “First Moment of Truth” (FMOT), which is the moment when a shopper selects an item on a physical shelf. The Purchase stage of a customer journey is when a consumer decides whether or not they will buy the product. For most brands, the Point of Purchase phase within the Purchase stage makes or breaks a sale. Many believe that after a consumer has purchased a product, the customer journey ends. However, the purchase is actually the mid-way point in the customer journey. Once a consumer has bought the product, they bring it home and try it for themselves. P&G refers to this moment as the “Second Moment of Truth” (SMOT), though it is most commonly referred to as the Experience stage. The shopper then compares their post-purchase expectations to reality. How did your product perform? Did your price point match your flavor or ingredients list? These general comparisons are typically shared with other shoppers via the buyer’s word-of-mouth, social posts, reviews, or blogs. When this experience is positive, a consumer moves along to the final stage of the customer journey: Advocacy. Once a buyer has purchased and used your product, they will spread the word about it, whether their views are negative or positive. However, when a consumer has a positive view about your product, they can successfully become brand advocates. This means that through word-of-mouth, or participating in forums or blogs, or on social media, the buyer will vouch for and recommend your product. They will also continue to add it to their shopping list trip after trip. During the Advocacy stage, a one-time customer becomes a long-time customer. In our next post, we’ll discuss how to customize and curate the experience for your own customers’ journeys.